Does Your Leica Need “Swiss Anti-Fingerprint Coating”? “This Leica M Set Edition “Leica 100” – Null Series is rarer than rare – part of an “unofficial” 25 pre-production cameras manufactured in addition to the “officially” released 101 sets. It represents a unique opportunity for collectors, investors and Leica enthusiasts alike to own one of Leica’s most celebrated special edition sets of the modern era. This was also the first special edition set to introduce a new lens: the Leica Summilux-M 28mm f/1.4 ASPH which is currently one of Leica’s most desirable optics. Beautiful to behold with its solid stainless steel construction and unique design, the Leica M Set Edition “Leica 100” is sure to be remembered as one of Leica’s iconic editions. As part of their celebration of ‘100 Years of Leica Photography’, Leica Camera introduced the very exclusive Leica M Set Edition ‘Leica 100’ in 2014. 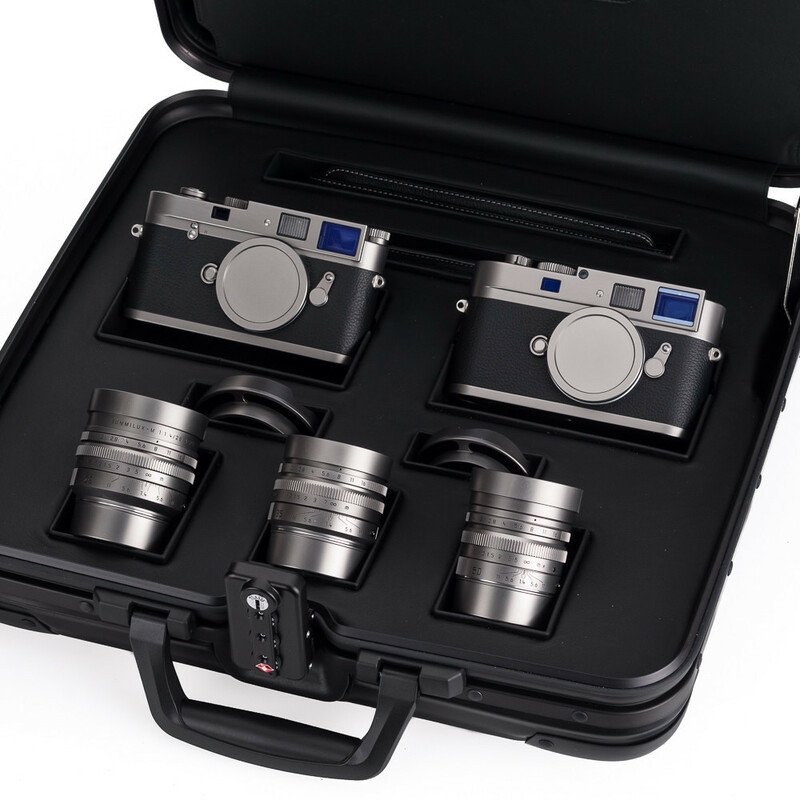 This commemorative set includes the Leica M-A Edition ‘Leica 100’, Leica M Monochrom Edition ‘Leica 100’, Leica Summilux-M 28mm f/1.4 ASPH, Leica Summilux-M 35mm f/1.4 ASPH and Leica Summilux-M 50mm f/1.4 ASPH all manufactured in stainless steel and presented in a special Rimowa case. This set has never been used. The lenses have never been mounted to a body. For sale on consignment, we are able consider reasonable offers. Please note that as a pre-production set, small manufacturing variances are possible when compared to the 101 production sets. Originally, 101 sets were made, with edition numbers from 1914-2014. However, an additional 25 “Null Series” sets were produced but not made available to the general public. These sets were given a number out of 25. This set for sale is number 24 of 25. The edition number appears on both camera bodies and each lens. The cameras in this set celebrate Leica’s 100 years of photography, from the beginning with black and white film to the digital perfection of it. The metal parts on the outside of the cameras and the lenses are made of solid stainless steel which has a special Swiss anti-finger print coating. The camera cladding and carrying strap are made of premium calfskin leather. 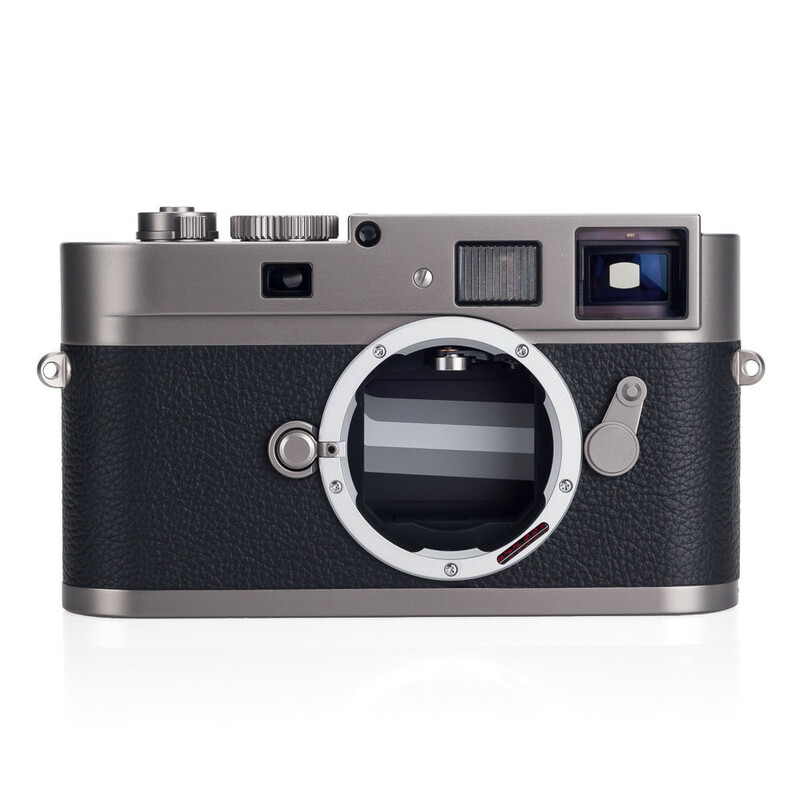 It was the first time in Leica’s history that three Summilux-M lenses were offered in a set. The 28mm lens is a complete new lens design and made its debut as part of this set. The 28mm and 35mm lenses include a screw mount round metal lens hood made of solid stainless steel. Each of the standard production cameras and lenses bear one of a series of consecutive serial numbers which represents one year in the Leica history starting from 4xxx1914 to 4xxx2014. The serial number of each product in one set ends with the same year. Additionally, each camera has a special engraving commemorating the 100th anniversary on the top cover. Please note that this Null Series set is separate from the original 101 produced, and is number 24 of 25. This entry was posted in Collectible Leicas, Film photography, Leica and tagged Leica 100 on September 3, 2015 by Leicaphila.